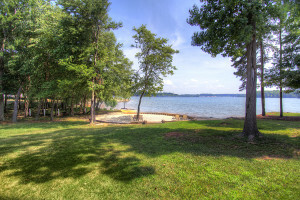 If you wanted to live closer to the Lake Norman waterfront it’d have to be on a houseboat! But the real magic is how the home is positioned on the point so close to water’s edge…the wrap around shoreline and water views from every room* makes you feel like you’re surrounded by water. *It’s true, we checked! No wonder the homeowners said in their Homestory (below)…. 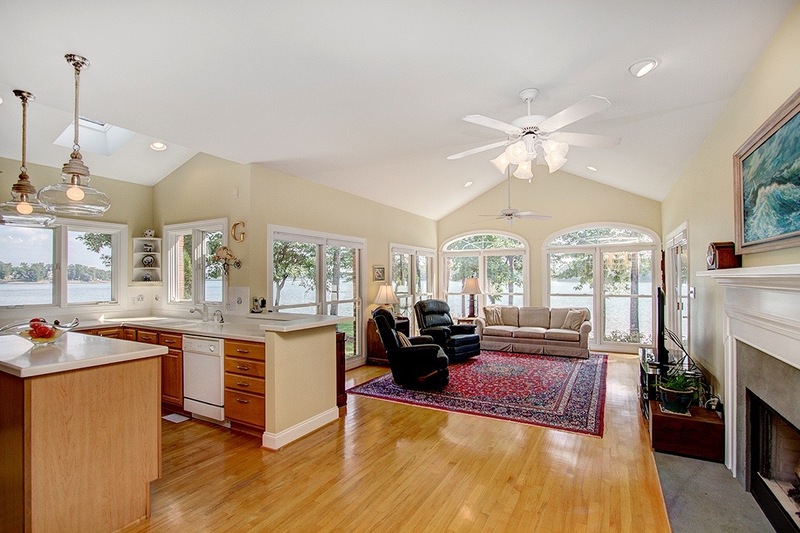 Every day we enjoy casually elegant lakefront living with stunning water views from every room in the house! (its true check it out when youre here) Whether its waking up to espresso on the master bedroom deck, watching sailboats glide by as the sun sets or entertaining family and friends in our open kitchen living areas were only a glance from the real star of this homethe water! 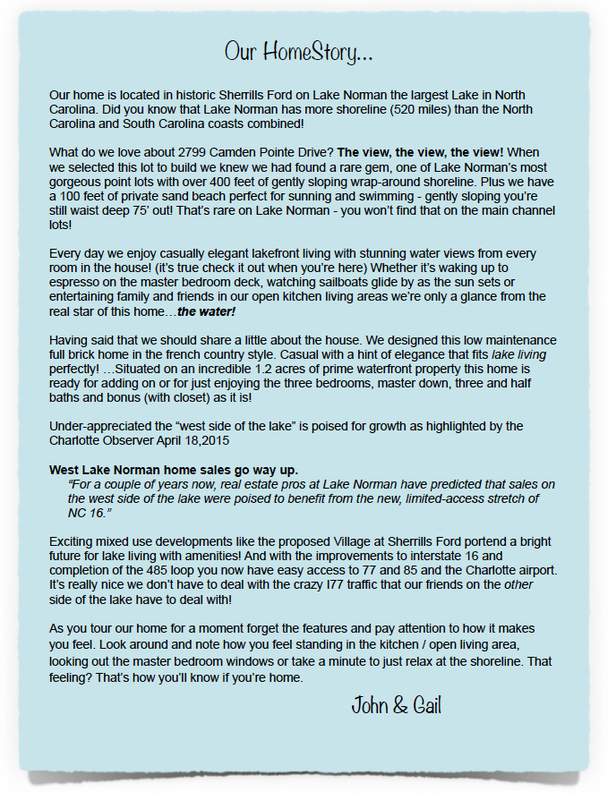 West Lake Norman home sales go way up. For a couple of years now, real estate pros at Lake Norman have predicted that sales on the west side of the lake were poised to benefit from the new, limited-access stretch of NC 16. Exciting mixed use developments like the proposed Village at Sherrills Ford portend a bright future for lake living with amenities! 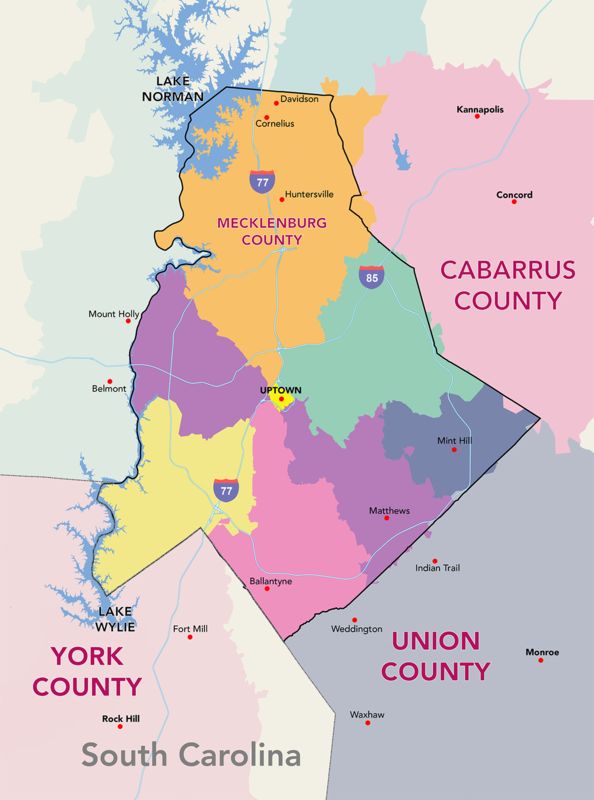 And with the improvements to interstate 16 and completion of the 485 loop you now have easy access to 77 and 85 and the Charlotte airport.And you dont have to deal with the crazy 77 traffic that our friends on the other side of the lake have to deal with! We hope you enjoy visiting this home and like we always say…. As you tour this home for a moment forget the features and pay attention to how it makes you feel. Look around and note how you feel standing in the kitchen / open living area, looking out the master bedroom windows or take a minute to walk out and relax on the point or stretch out on the beach inadirondackchairs.You feel that? That feeling…thats how youll know if…youre home. And we always try to come up with a musical selection that fits the home…this one fits like a glove!